When it comes to promoting Dialogue, I keep my eyes on art and media. Working previously in an advertising agency, it opened my vista to the wonderful world of communication with very few words using art. Words for me can get in the way. I choose my words. The softer the word the better. Simple words preferably. It’s interesting to learn new words every. I subscribe to a word a day and learn new vocabulary. But for what purpose? The word is only useful for me if it’s life-giving and to bring awareness. Shhh…. look, just look and listen to what I am showing you. What thoughts and emotion are starting to form in you? Can you hear? Can you hear your own thoughts? Your own prejudice? When you speak, what language do you use? What I mean by language is not the word. It’s more than words. Do you say the truth, do speak love, do you resonate kindness? Do you see what I mean? It starts with yourself, family, friends and to the outside world. If you keeps your eyes wide shut, what is the point of having a vision? It happened, still happening. 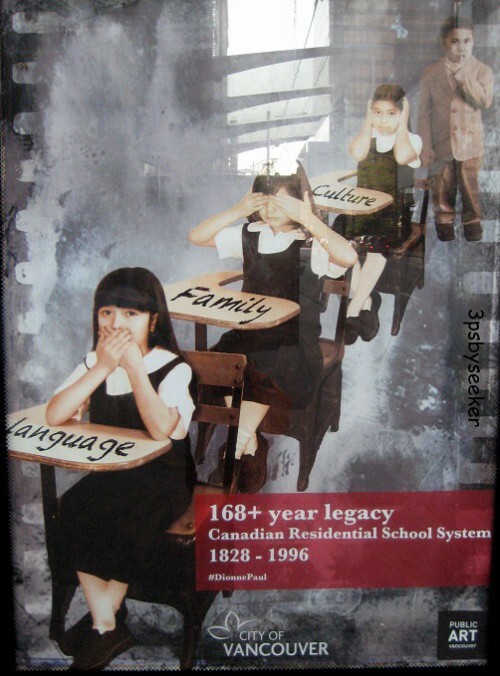 Not just at school, not just in Canada, it`s everywhere, it starts in you. This is not to scare you. This is to learn from the power of media.